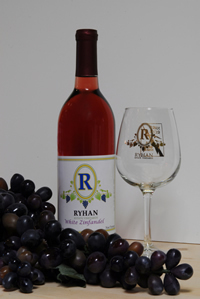 Zinfandel is a variety of black wine grape grown in California and from which a type of red wine is made. Why this word for today? Join me to toast to the successful completion of the A - Z Challenge! It has been a hectic ride, lol...and I'm happy I stuck to the end. Congrats to all the other challengers, and thanks to everyone who has been following and commenting. To all my new followers, you're welcome and I'll be back to regular programming soon.